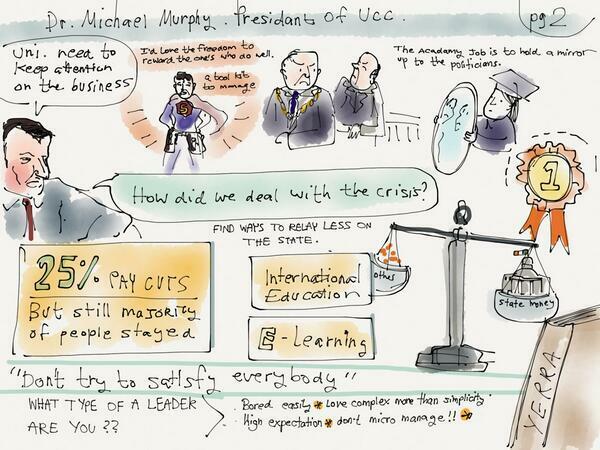 Dr. Michael Murphy is the President of University College Cork (UCC). On a warm summer’s evening, following a sizzling BBQ and the excitement of World Cup football, Michael joined us in our Red Chair for a fascinating conversation. 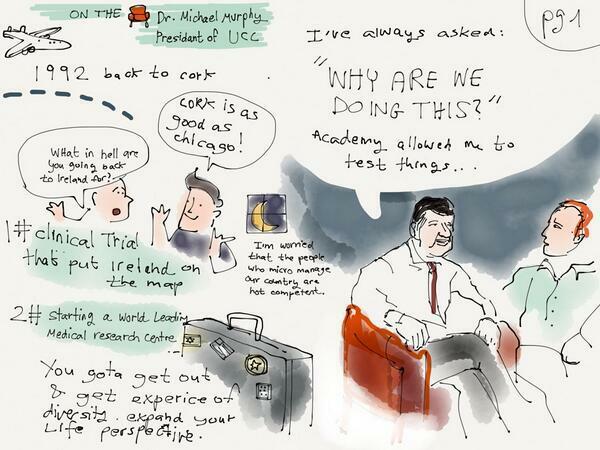 In this revealing interview, Michael shares his personal story, the circumstances of his childhood, his career in medicine and most recently his stewardship of UCC. how trying to be popular is not a good objective for a university president! and a special mention for UCC Maths Professor George Boole, who made this video possible! You may notice in the audience the presence of Naomi Fein, who was busily harvesting the interview and published these images online immediately afterwards. And the article that Michael references from Forbes Magazine, written by Rob Asghar, can be found here. This conversation was recorded at a Smarter Egg event at Upstairs at the White Horse, Ballincollig, Ireland in June 2014. Smarter Egg clients from across the business spectrum were in attendance, along with other guests. The video footage was filmed and edited by Ian Armstrong of Onevision Multimedia. This entry was posted in Egg Talks, Red Chair, White Horse on July 8, 2014 by Aodan Enright.